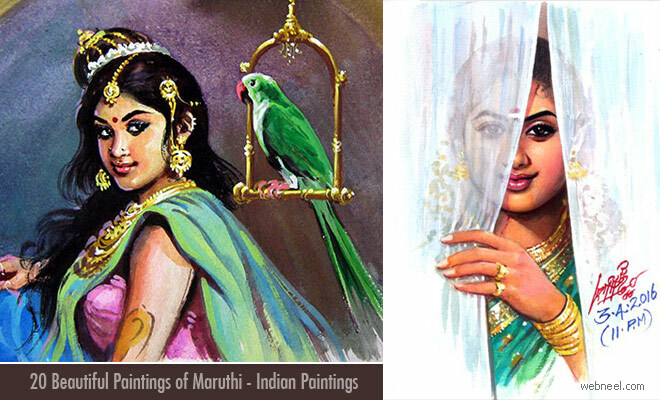 Here are a collection of beautiful tamilnadu paintings of artist Maruthi. 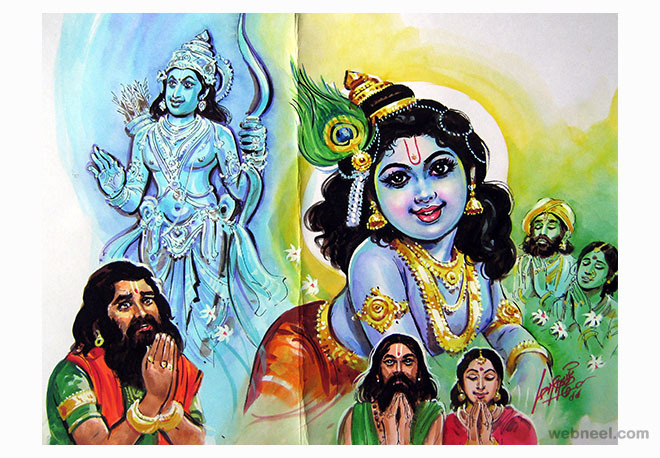 His journey as an artist started at an young age when he was seven years old. 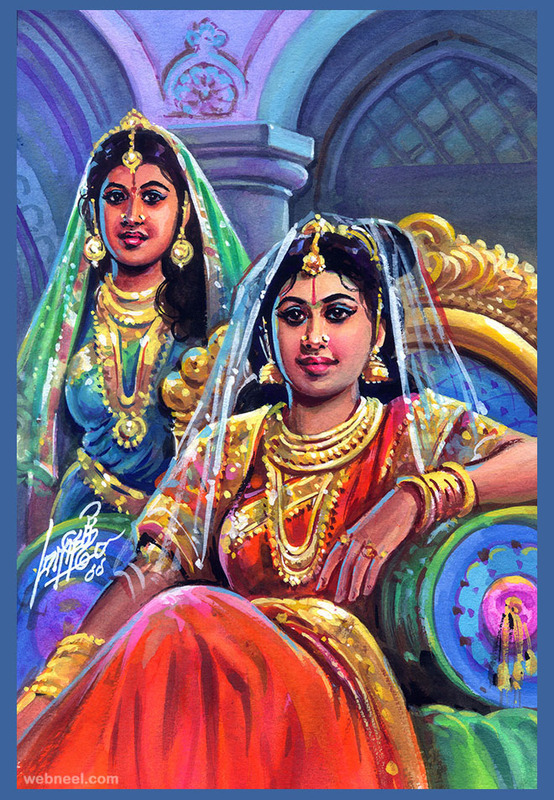 Maruti was born in Pudukottai, Tamil Nadu. 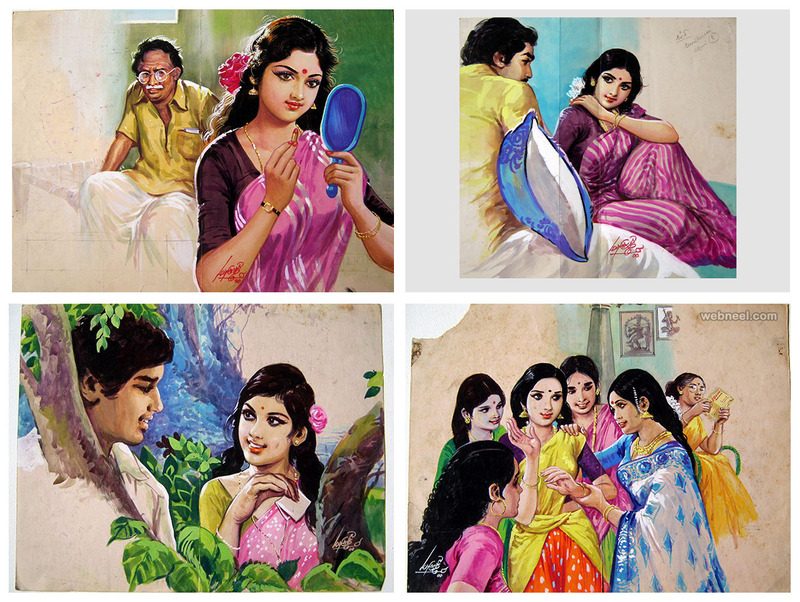 Maruti came to Chennai when was just 19 yrs old, to pursue his interest in art. 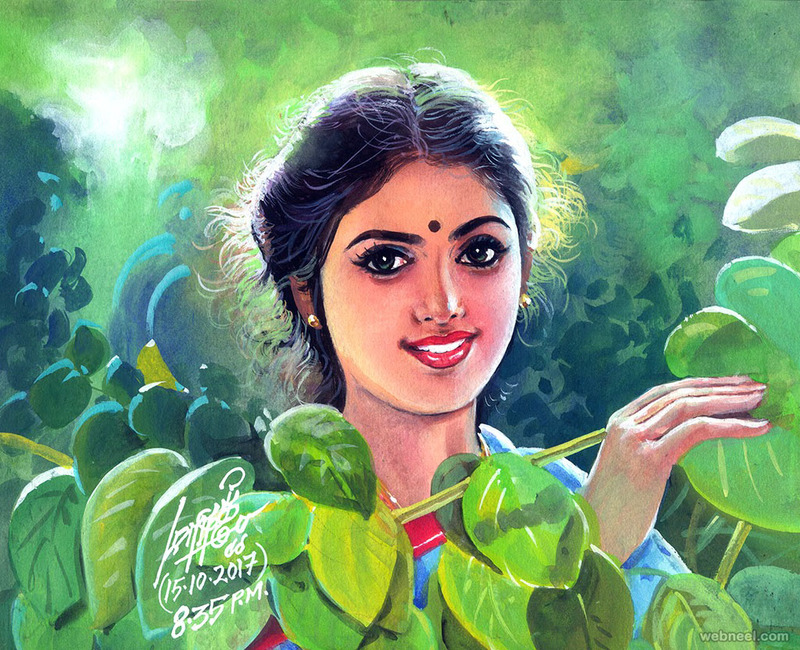 Maruti is a self taught artist who has showed his excellence for the past 54 years in tamil paintings. 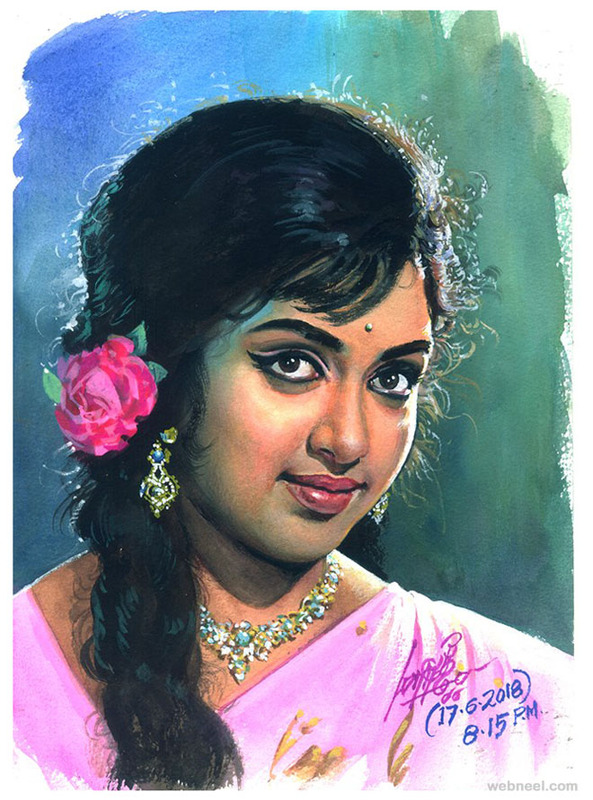 Initially he was working as a designer for film posters in chennai, slowly he became a freelance artist for magazines and organizations. 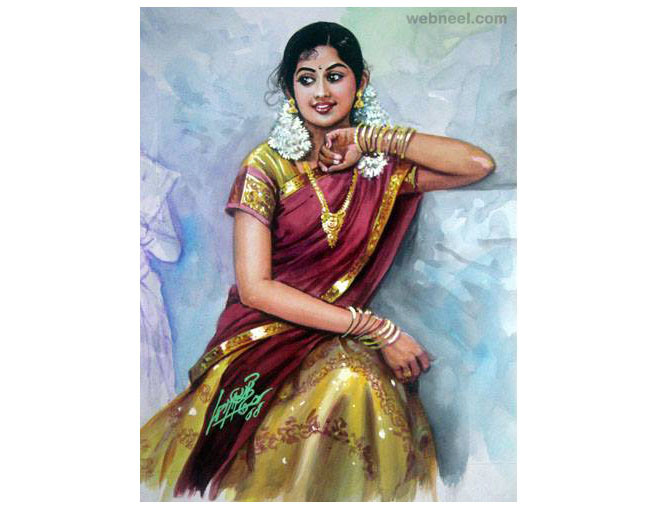 His area of specialization is water color and oil paintings. 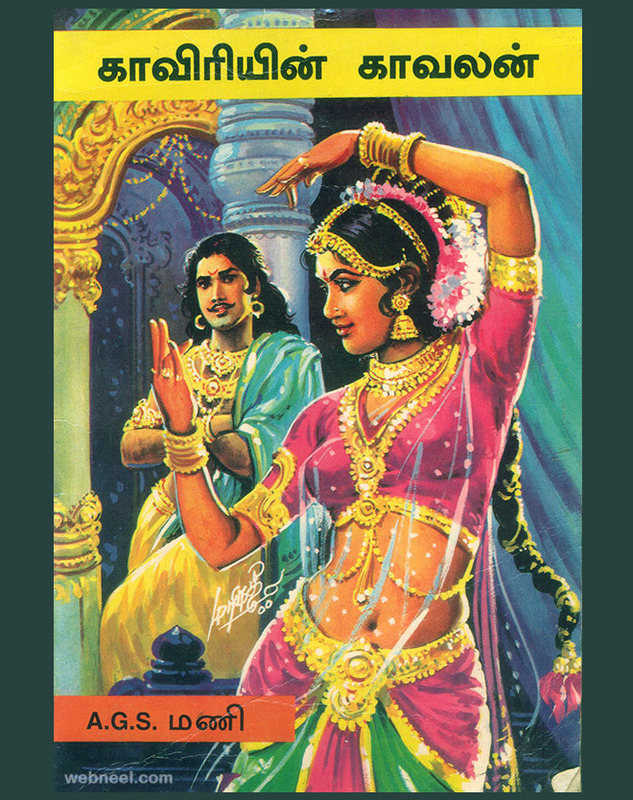 Most of his tamil woman paintings have appeared on popular fortnightly magazines like Ananda Vikatan, Kumudam, Penmani(tamil woman paintings, cover illustrations), Kanmani and so on. 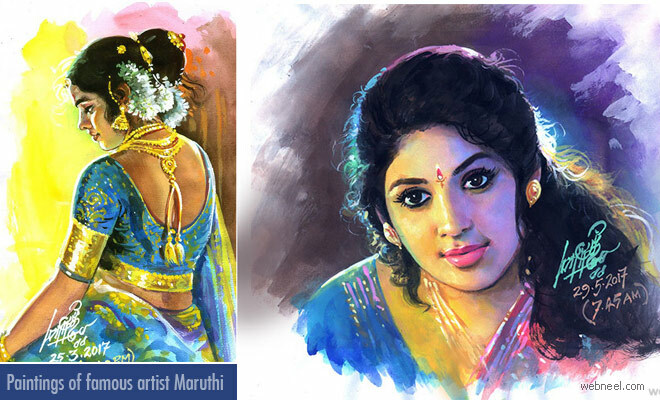 Maruti is a true inspiration for all young tamil artists, since he came to the big city when he was very young, but his passion for art has made him an achiever in his art industry. 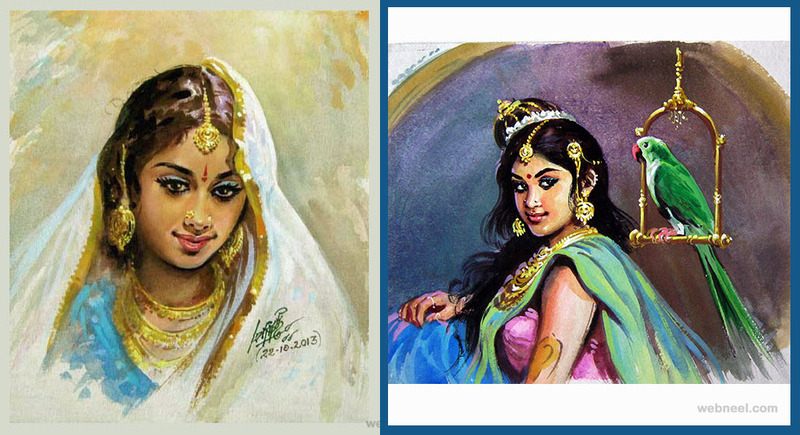 He draws inspiration from artists like R Natarajan, Madhavan, whom he considers as his guru. 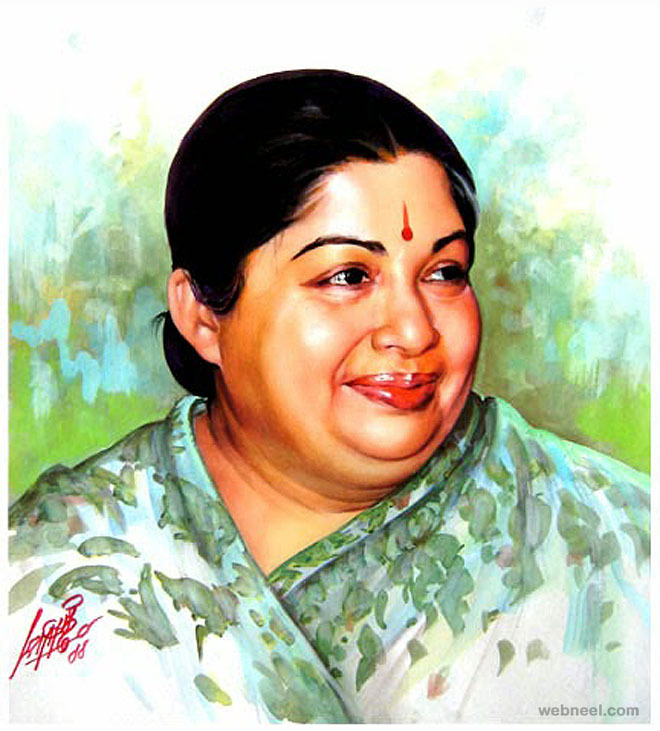 Maruti is a well known face amongst Tamils who live in all parts of the world. 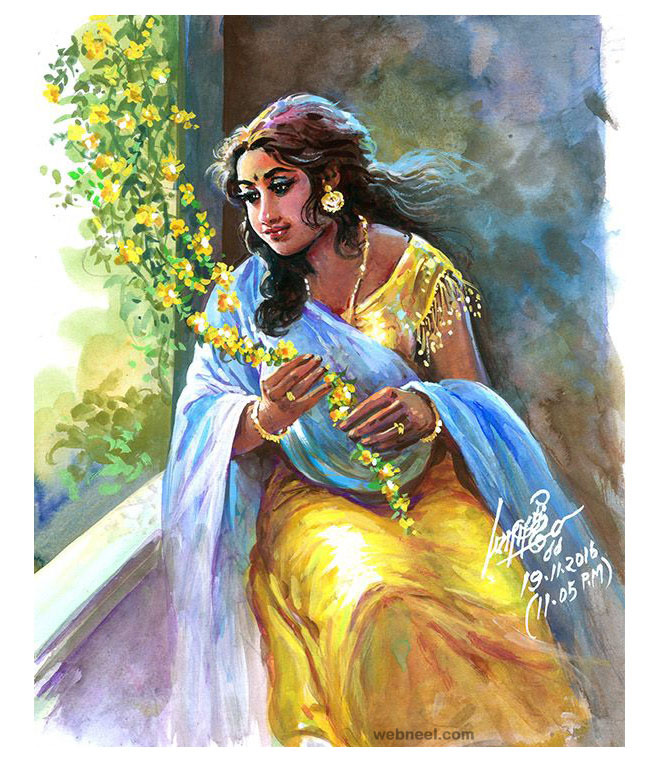 If you would like to own his popular painting, you can contact him through his blogspot website. 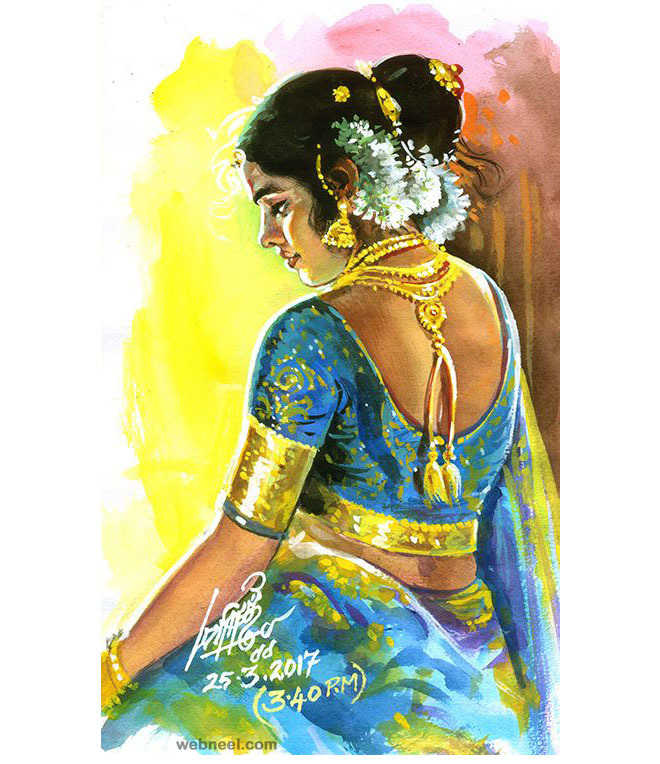 20 Beautiful Tamilnadu Paintings by famous artist Maruthi - Indian Paintings Neel Here are a collection of beautiful tamilnadu paintings of artist Maruthi. 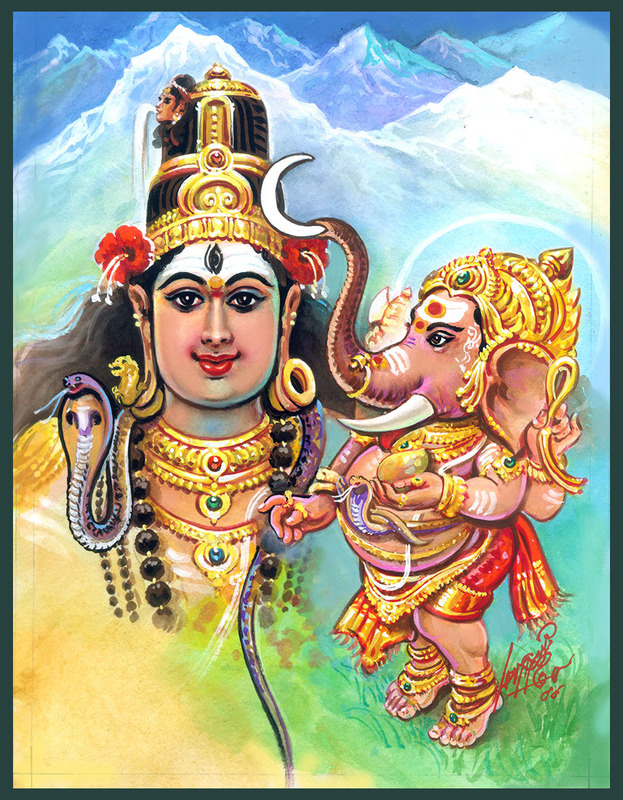 His journey as an artist started at an young age when he was seven years old. 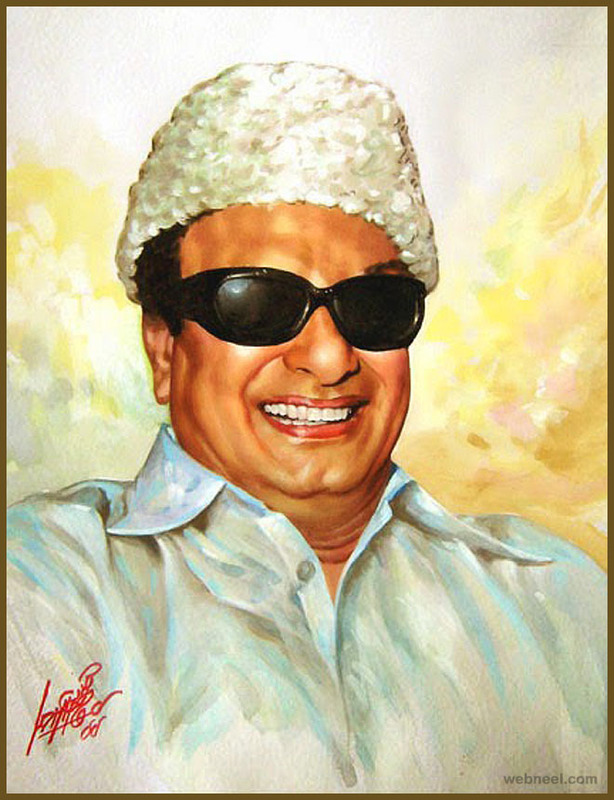 Maruti was born in Pudukottai, Tamil Nadu.